This could be the year when some movies should shatter the box office records. The epic conclusion to the Dark Knight, The Avengers, are a few possible candidates. Steven Spielberg, Ridley Scott, Peter Jackson, Christopher Nolan are all in action this year. Sequels, conclusions, its all happening in 2012! Lets begin! For once again I’ve been irregular with my blogging, its been 112 days or 3 months, 20 days since I last posted a blog entry. Somehow blogging has really lost my attention, maybe its due to twitter, lack or time/topic or just my laziness to post something. Anyways been a long time since I had blogged, thought of posting my review of Karthik Calling Karthik which I saw on Saturday. I normally wait for movie reviews these days, I don’t want to repent my decision of booking tickets before checking the reviews, but I didn’t follow the pattern for KCK aka Karthik Calling Karthik. Primarily because the promos had got my attention (yeah they do for most of the movies and then the movie disappoint, but this was an exception) and then Deepika’s new look was all that I needed to get convinced (Yeah I like her, love her rather, she’s all over me these days). Enough of chatter, lets get to the point. Normally a thriller survives on its suspense factor, KCK was no exception, but the title somewhat gave the hint what it was all about. Karthik (Farhan Akhtar) gets phone calls from Karthik (his alter ego? some well wisher? ), now who the other Karthik was left to your imagination. I for once considered him to be his alter ego. But then that’s what I thought, the movie somewhat surprised me on what really it was about. KCK starts off well, portraying Karthik as a overworked, invisible person whom everyone thinks of as a nobody. Which I found quite silly considering that he was a topper in IIMs and broke some records in CA exam results! Isn’t that a confidence booster is itself already? But then I can probably neglect that part, for he might be having something bothering him so much which can make him forget what value he could be to some big corporate. What was he doing in a construction company in the first place! Anyways he starts getting those mysterious calls from Karthik which changes his life, he gets the credit he deserves, gets a promotion, and most importantly gets the girl, Shonali Mukherjee (Deepika Padukone) whom he secretly loved. It all turns ugly when he reveals about those mysterious calls. By this point you probably try to figure out whats gonna happen, but then just when you thought you’ve cracked this one and decide that Karthik’s imagination is getting the better of him, director Vijay Lalwani drops the bomb when the phone calls turns out to be real! I was left to wonder what could be the real deal. But sadly that’s the last good impression the movie leaves on you, from then on its all downhill. Instead of taking it to a different level the movie suddenly drops down and ends abruptly leaving some unanswered questions. Performances are what I liked a lot. The way Farhan Akhtar got into the character and was believable as a sorry fella Karthik. He was very natural the way he reacted to the situations and for once let off his steam by breaking the poor phone. Then when he gets his confidence back he still retains the charm needed in the character and still continues to be believable. He really shines as an actor here. The chemistry between him and Deepika was quite natural and likable. The romantic sequences, esp those fingers mimicking walking thing was really cute. Some dialogs were quite funny and managed to make the pair more believable. Deepika was effective but I wanted to see more of her (not just because I like/love her, but because her character didn’t give much to judge her on) did a great job in a few sequences though. And after Love Aaj Kal you did expect her to get better and better, which I could see. Ram Kapoor as the bad boss was pretty good. Shefali Shah as the psychiatrist and Vipin Sharma as the bugging landlord both were effective. Screenplay was a bit weak,should have been better in the second half. Cinematography was top notch. Captured some scenes perfectly as needed in a thriller. Use of shadows and dark areas added to the effect. Background music by MIDIval Punditz & Karsh Kale was awesome. It added to the dark and mysterious tone of the movie. Songs were good, and Hey Ya! and Uff Teri Adaa (My favorite number these days) were the pick of the movie. Overall the movie turned out to be a decent watch, a bit of a let down from what I expected, only if the ending had been better, or maybe the whole of the second half, it would have been a great watch. Still not a disaster at all, was a nice watch. Watch it for a great performance from Farhan Akhtar. Its been 264 days, or 8 months, 21 days since I last wrote a movie review. Its not that I’ve stopped watching movies, no sir! That can’t happen. I’m a BIG movie buff if you don’t know already, and I’ve seen a lot of movies in that time, just that ever since I started using twitter, my blog took a backstage. Not anymore though, I’ll try to be regular from now on. Anyways on to the movie review now. Initial promos of the movie didn’t really inspire me to go and watch the movie, but slowly and steadily the movie gathered good ratings and with good word of mouth recommendations, I decided to give it a watch. A lot has been said about the movie able to connect with the youth, which I found quite true. I could relate how it is to go through that transition phase from the no responsibility college going youth to a guy working and starting his important phase in life. So that way a lot of people can somehow relate to the events in the movie. The plot was pretty simple, Sidharth Mehra aka “Sid” (Ranbir Kapoor) is a lazy rich boy who is in his final year of graduation and doesn’t have a clue about whats next in store for him after he completes studies. His friends have started moving on in life and he is still not decided. His parents Sarita (Supriya Pathak) and Ram Mehra (Anupam Kher) run out of patience when he fails in his exam, and out of the heated arguments he decides to move out of the house and starts living with a new friend Aisha Bannerjee (Konkona Sen Sharma), whom he met at the farewell party. So slowly Sid starts realizing that he needs to do something and get a job, which he eventually gets and then he returns to his home, with his parents happy that their son is now a grown up man. Sid and Aisha realize about the feeling they share for each other and profess their love. A Happy Ending! Ranbir Kapoor was at the center stage in the movie and he did a solid job. He really looked like a spoilt brat who doesn’t care about the world and was realistic. He’s getting better and better. He fits in the youth-type roles pretty well. Konkona Sen Sharma is a great actress, does a great job with every movie she is in, and this was no exception. Her character had maturity and she looked realistic as well and complemented Ranbir. Anupam Kher and Supriya Pathak, who played the roles of the parents were really good. Rahul Khanna and Kashmira shah didn’t have much to do, and were just fine. The friends of Sid were all really good. Ayan Mukherji has handled the subject pretty well in his directorial debut. He was the assistant director to Ashutosh Gowariker in Swades and Karan Johar in Kabhi Alvida Naa Kehna, so he has learnt his craft from two well known film makers and he did a pretty good job himself. Cinematography was top notch. Mumbai is a beautiful city and we could see great parts of the city in superb visuals and angles. Music of the film was pretty good, effective and gels with the theme of the movie. Shankar-Ehsaan-Loy got it spot on and title track “Wake Up Sid” & “Iktara” were both pretty good. Overall the movie was a good watch. It should connect well with the youth and gives an example of how important it is to seriously think about what lies ahead. Some scenes in the movie were done pretty well. When Sid meets his father and tell him about the job and hands over the first pay check, that was a touching scene. So in all its a decent film and should be able to get favorable response. Awesome day! So many new trailers released for the Super Bowl spots. This is simply awesome. It looks even bigger and better than the first one. Can’t wait for it. It has some new robots and although its not that long, the first glimpse of Revenge of the Fallen is finally here. The first trailers were already out, but this has some new shots for the Super Bowl Spot. More in my Fast and Furious Trailer Preview. I was waiting for this one too. And finally the first trailer of G.I. Joe is out. I didn’t expect to see the stuff I saw in the trailer, too much of effects. This is nowhere what I used to see in the cartoons. I hope they don’t mess this one up. So there you have it then. Exiting trailers, can’t wait for the movies to be released, especially Transformers. 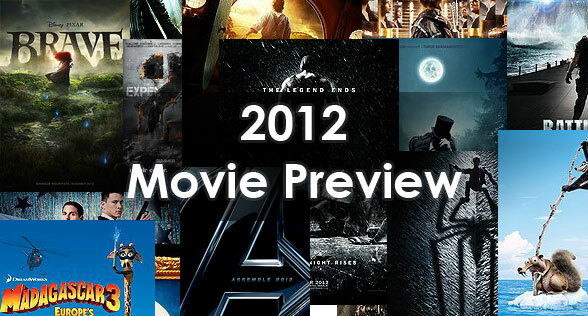 Check out my complete preview for the movies in 2009. What on earth was the team of CC2C (Chandni Chowk to China) was thinking about? I mean everything went so wrong. Ok the action was very good, but that just doesn’t save the movie from being a disaster. And neither does Akshay Kumar, who in the past has saved some movies just because he was so good in them. CC2C is horribly wrong in almost every department. Lets begin with the story. Read the plot on Wikipedia (Spoiler Warning). So it could have been much better, but it just wasn’t enough for a movie which carried so much hype and one which Akshay Kumar himself claimed to be a semi-autobiographic film. So with that into equation it makes it all the more worse. Acting, oh dear oh dear. Akshay was trying too hard to impress, and sometimes things were just off for him. Ok he made us laugh on several occasions, but somehow, I felt he wasn’t where he usually is in performance terms. His action scenes were very good though, probably the best movie of Akshay till date where action is concerned. Deepika Padukone didn’t do much, although she had a fight scene which she did very well, but rest she was just about ok. Mithun Chakraborty was a real waste. Ranvir Shorey could have been more interesting. Action scenes were very well done. Every scene was very well shot and done. And sadly thats the only good thing about this movie. I expected to see some more good locales of China, but all they showed was the Great Wall of China. Some songs were just not needed, and they really made a very big mess of Tere Naina. Its such a nice song, and the people in theatre broke into laughter when the song started, its supposed to be a nice romantic song with nice picturisation. But all they showed was Akshay and Deepika floating in Chinese airspace by an umbrella. I mean what the hell was that? Seriously a big blunder. Nikhil Advani seriously needs to think more about his movies. He’s letting himself and everyone down. His first movie as a director was good, Kal Ho Naa Ho. Then Salaam-e-Ishq failed terribly, and now Chandni Chowk to China. So to sum it up. I’d advice everyone not to watch this movie in theatres, really a waste of money and time. I certainly regretted watching it, and learnt a lesson. Never to book tickets before Friday and always wait for the reviews and friend’s word on it. I became a huge fan of Aamir Khan after I saw Taare Zameen Par, and with all the hype surrounding Ghajini I was anxiously waiting for its release. The initial promos did let me down, a bit, when only the song “Guzarish” was being shown on the television. Make no mistake, its a great song, but Aamir Khan movies are much more than just music isn’t it? So then while watching Rab Ne Bana Di Jodi, I also saw the theatrical trailer of Ghajini. And I was taken aback by it, and I really wanted to see it. Now that finally I’ve seen it, TWICE, I must say its really a wonderful experience to watch such a film. Bollywood movies have really come a long way now, and its all really getting better and better. Its much more of a real cinematic experience now. Ghajini only took it one step further. Lately there have been many movies with the hatke storyline. But not everyone of them carried this level of commercial cinema in them. Welcome to Ghajini. This might be a remake of Memento, which I haven’t seen yet. I want to see it sometime soon, anyways comparisons it might draw, none are needed. Ghajini is a Bollywood film with the superb performance by the brilliant Aamir Khan, good direction by A. R. Murugadoss and some wonderful music and background score which makes it a great experience. Ghajini is about Sanjay Singhania, a businessman, and how his lovely life suddenly takes a very wrong and unintended turn and changes his life forever. Read the complete plot here. First things first, Aamir Khan, he really deserves all the accolades out there. He really puts in a fabulous performance. The role demanded a lot and Aamir did all the justice he could. He carries the movie brilliantly. He really worked out his body for the movie, which looks great. Asin Thottumkal is not a newcomer by any means. She’s already won Filmfare awards for her Tamil & Telugu movies, but being her first Hindi film, she really did a great job. I was impressed by the way she handled the various kinds of dialogues. Her dialogue delivery was pretty apt in whichever situation. Not to mention she looks great too. Jiah Khan was somewhat a bit off color at times. I didn’t like her much, but she did a couple of scenes well. Rest of the actors did a good job. A. R. Murugadoss handled the direction well, but just one concern here, the action scenes were too South Indian movie style at times. Rest all of it was very good. What I really liked was the way the whole story was carried and shown. Another big strength of the movie was its music. A.R. Rahman as always brings out another fantastic album. Guzarish is a very nice song. Aye Bachchoo & Latoo were not that great, but Kaise Mujhe is a wonderful track. I’ve been hooked onto this song ever since I have heard it. Behka is an ok track, but the picturization was very nice. Background music was also superb. Added to the quality of the whole experience. The starting credits sequence was again very thoughtful, going with the theme of the movie. Cinematography was also very good. All in all definitely a must watch. Aamir Khan puts in a stellar performance and the movie really keeps you hooked onto it right till the end.